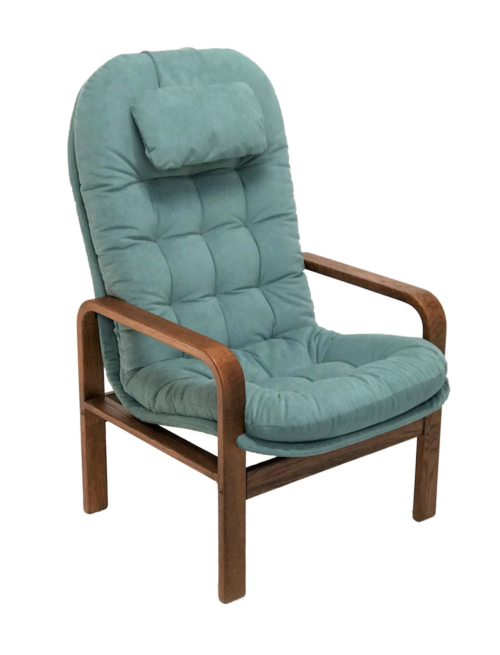 Brigger seats are designed ergonomically and can be made into chairs, rocking chairs, and recliners, depending on the design of the wooden base. Brigger Ultra-Recliners use a tilt base that allows the seat to transition by tilting from the upright sitting position, to a near horizontal zero-gravity lying position. The flip action is facilitated by levers on either side that are operated manually.A locking mechanism permits the recliner to be locked in any position between upright and fully reclined. The video shows the ease of moving from the upright to the reclined position. The angle by which the recliner tilts is fixed by design. The choice of the sitting posture will determine how close to the horizontal the zero-gravity reclined position will be. Choosing the comfort posture for the up position will result in a horizontal zero- gravity position when fully reclined. Choosing the upright posture for the seat will result in a less horizontal yet close to zero gravity position Normal sitting posture, being between upright and comfort posture will result in a zero-gravity position between the others. . To many persons the choice of sitting posture will be more important than the degree of zero-gravity position as all sitting postures will result in a reclined position close to the zero-gravity position. Choose the comfort position if the fully reclined horizontal zero-gravity position is desired. Zero-gravity describes a relaxed horizontal resting position made popular by astronauts as a necessary safe position during take-off and a favored one under zero-gravity conditions in space. In earthly relaxation, it provides optimal circulation, reduces heart stress, and unloads the spine. 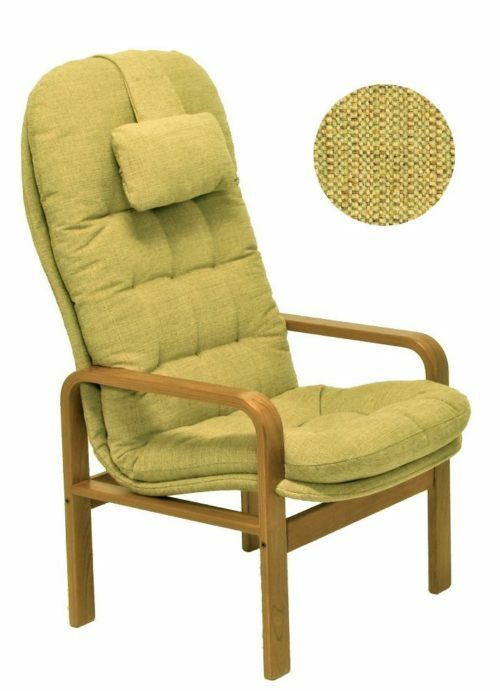 The Brigger Flip-Flop recliner, a simpler version of the Ultra-recliner is a unique motion chair that facilitates transition from a more or less upright sitting position, to a relaxing zero-gravity horizontal lying position. Between upright and reclined it feels like a rocker and invites the sitter to play by moving up and down. With a quick push of one foot on the ground one glides into the reclined position. A pull of the side lever, returns one safely to the upright starting position. What may look like a somewhat therapeutic tool to relax the back and encourage good circulation easily becomes a fun chair to amuse oneself moving up and down. This was the reason we named it the Flip-Flop chair in its simpler version with only one side lever and no in-between arresting stops. With long enough legs the Flip-Flop makes a fun motion chair with the comfort of a therapeutic zero-gravity recliner. Employing tilting motion to change position makes possible a simple elegant design without moving parts to change position from upright sitting to reclined zero-gravity relaxation. To begin with, the Brigger seat by design provides the best ergonomic comfort available in any chair. The addition of tilt motion capability to effect reclining to zero-gravity position encourages muscle activity and provides healthy physical stimulus. Most recliners are designed with articulating mechanisms that allow the back to be lowered while the seat adjusts as needed. 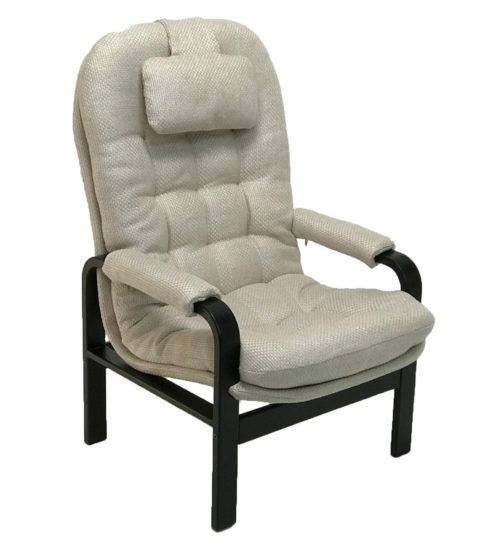 Many are bulky with ergonomically unsatisfactory body support and initiating the reclining motion tends to be bothersome. By comparison the Brigger recliner with its lean functional design provides the best ergonomic support with simplicity of function. 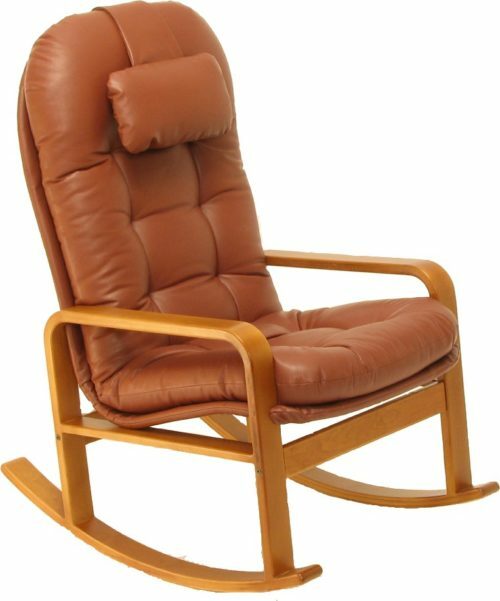 A review of the Ultra-Recliner by a furniture designer and comfort specialist gave it the highest marks for stress free sitting and comfort design.